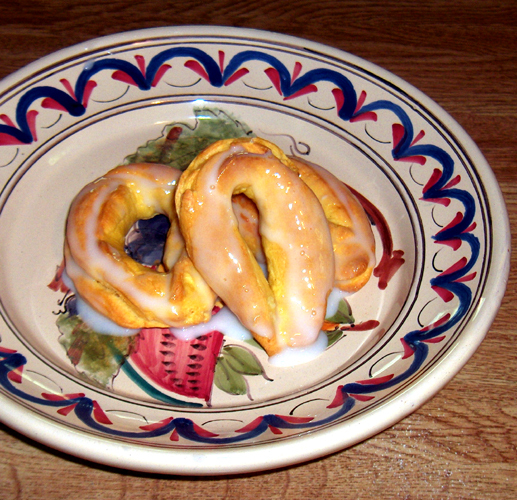 Charmeli are one of the only glazed taralli in Italy and are an Easter specialty. This taralli however can be found year round. Made with eggs and boiled before baking they are very light.